I’m not sure if this is the best colour combination I’ve ever used on my nails, but I’ll go with it. I started by painting each nail with Beyond the Nail – Bright White. This was help make the neon polishes POP! I applied NailExperiments –Easy Peel latex Barrier around each nail. When both of these dried, I got a makeup sponge and sponged on a gradient onto each nail using Beyond the Nail – Road Trip, TropicalGrove, & High Tide. After doing it to each nail, I removed the latex barrier. 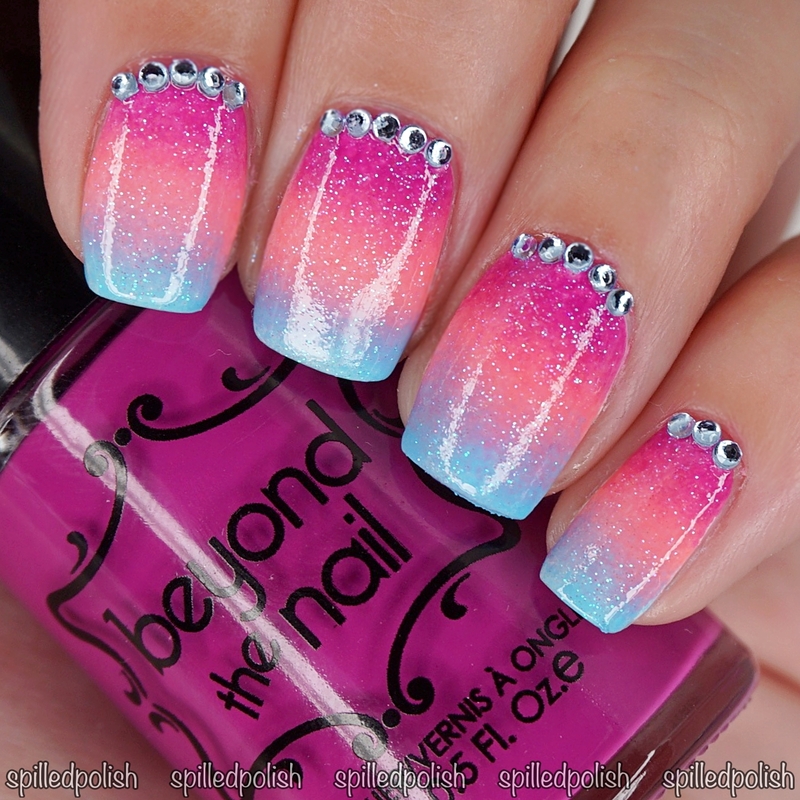 I topped each nail off with one layer of Beyond the Nail – Mermaid Dust. 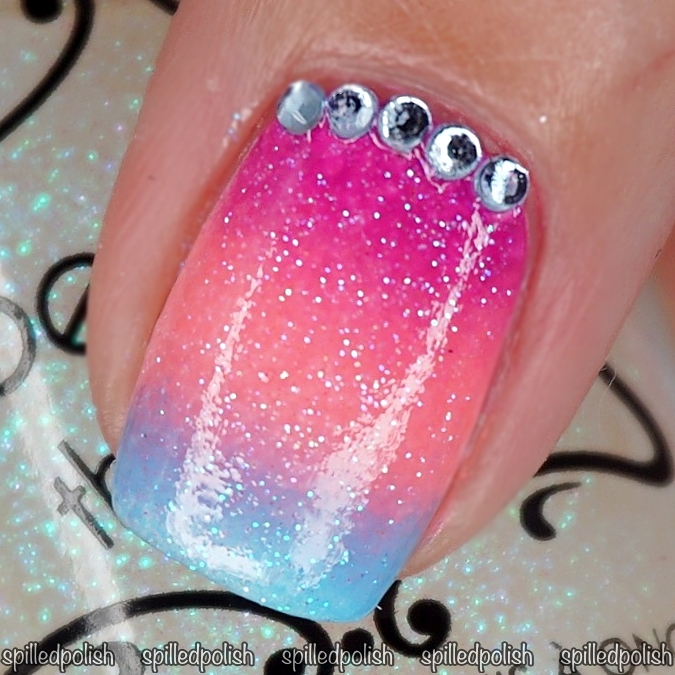 I then applied one coat of PRO-FX – Quick Dry Topcoat to each nail and stuck on some rhinestones to the top of each nail.